Easy to hold, delicious to eat, Red Pear excels at providing you with the very best finger food catering to delight your guests. Smart, imaginative, engaging and tasty! 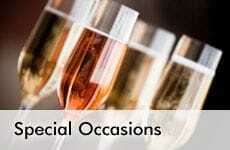 We strive to create an easy to handle finger food menu to complement your occasion. All of our finger food catering items are handmade. We believe it is imperative that your guests do not leave your event hungry. Featuring two to three bite-sized taste sensations, our flexible canapé fingerfood catering packages provide terrific value and may be adapted to suit any environment. Each menu is prepared on-site from quality seasonal ingredients, served to your guests. .
Each fingerfood catering menu gives you the flexibility to select the items that will suit your budget and taste preferences. From each menu simply select from the number of items from our menus to provide you with a complete package. All of our finger food catering items are handmade. "It’s all about confidence and peace of mind”. 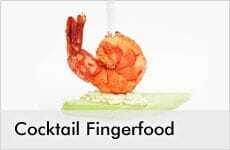 Finger food catering is all about bite-sized taste sensations. All finger food is cooked on-site and our prices include equipment and napkins. Fingerfood menus are substantial enough to substitute a full meal. In keeping with Red Pear's commitment to fine produce and fabulous presentation we only use the freshest of produce.